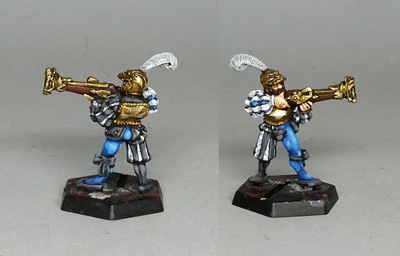 I have finally finished this war wagon crewman after... years. And a little peek at another figure I've been slowly working on. Not sure how soon I will be inspired to finish the standard. Lovely work. 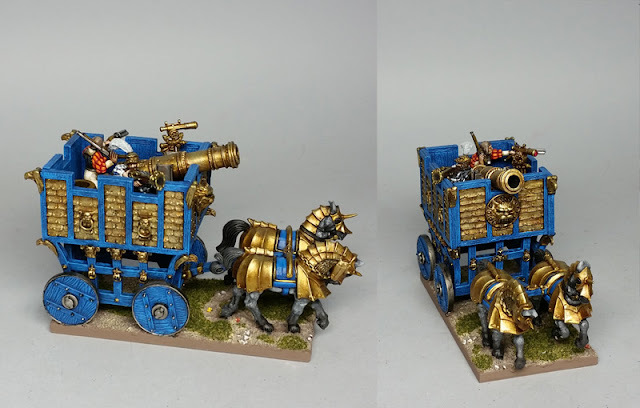 A gorgeous blue on the war wagon. I imagine it'd be a pain for the crew to pass up cannon balls to the fighting deck though. 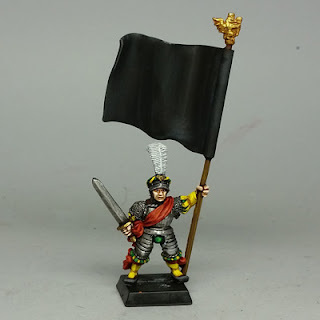 I quite like the socks and the yellow/green trim on your standard bearer. Maybe a hippocampus (the mythical creature) on the standard?